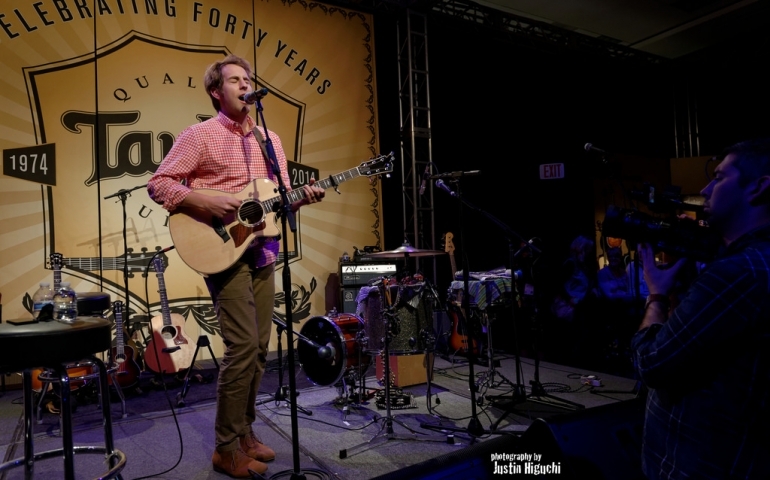 It has been two long years since Ben Rector has released an album, but the wait has been worth it. Ben dropped his latest album, titled Brand New, just two weeks ago. Within the first week of its release, Brand New climbed to number two on iTunes’ top albums list. Ben has successfully done what many thought was impossible; he has topped his last album, The Walking in Between . I’ve been listening to Ben Rector from the beginning of his music career. Flashback to 2008 when I was just a middle-school kid and Ben was a college student at the University of Arkansas. Turns out, he worked as both a counselor and the worship leader at a summer camp I attended called Kanakuk. That was my first exposure to this “Ben Rector” guy. Near the end of camp, Ben started to hype up his first EP that would be posted on his personal Myspace and Facebook pages. He blew me away with his musical talents so I figured “why not”; I added him on Facebook (yes, we’re still friends on Facebook) and was instantly hooked. So now that I was “friends” with Ben, I couldn’t wait to see where his career would go. Fast forward seven years to today, and here I am writing a review about his fifth studio album. FIFTH! That blows my mind. To follow him the past seven years and see the progression of his music as well as the following he has gained is incredible. Okay, so back to Brand New. Rector hails from both Tulsa, Oklahoma and Nashville, Tennessee. You would think that he’s a country musician by geographical location, but he’s actually quite the opposite. The singer/songwriter brings a flare of pop-rock tunes to Brand New that provides listeners with a unique way of jamming out not just to the rhythm of the songs, but also allows them to connect to the lyrics at the same time. Whether it is an uplifting and powerful beat like “Fear” or a slowed-down storytelling song like “Paris”, Ben’s infectious voice draws listeners into this masterpiece of an album. From start to finish, Brand New will have you finding yourself tapping your foot, humming a tune or thinking back on past experiences of your own as you relate to Ben’s. Avid listeners of Mr. Rector can tell that he’s starting to make strides in the mainstream. This is easily my favorite album of his, and if there’s anything I’ve learned from listening to Brand New, it’s that Ben is back and he’s here to stay.